Leading experts from paediatrics, neonatology, health visiting, dietetics, child psychology, midwifery and obstetrics, specialising in early years nutrition and development. 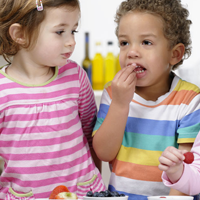 The ITF provides reliable, evidence-based information and practical tools to support you in making the right choices when feeding toddlers. Honorary Consultant Paediatrician at Great Ormond Street Hospital; Professor of Paediatric Nutrition at the Institute of Child Health, London. Atul is head of the Clinical Trials and Nutrition Cardiovascular Disease programme at the ICH and is very interested in early nutrition and its effect on later health - especially the programming of cardiovascular disease. Honorary Senior Lecturer in Applied Developmental Psychology, School of Psychology, University of Birmingham and Consultant Paediatric Clinical Psychologist, Birmingham Food Refusal Service. 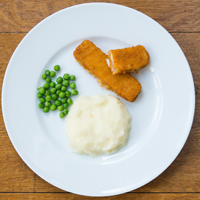 Gill is primarily interested in the development of taste preference in infancy, and the subsequent development of food acceptance and rejection in early childhood. She heads a research team at the University of Birmingham, investigating topics such as sensitive periods for weaning onto solid foods, and the stages of rejection of food, which occur from the age of one to five years. She also works on abnormal feeding patterns in children, which may be caused by, or linked to, medical problems or developmental delay. Lead Midwife at Queen Charlotte's & Chelsea Hospital, Imperial College Healthcare NHS Trust. In 2008 Gill received the Dame Rosalind Paget award for "Outstanding holistic services to women and their families" and recently completed an MSc in Interprofessional Health and Social Care. Gill fundamentally believes in a woman's innate ability to labour and give birth. Passionate about empowering women and their birth partners Gill's programme of 'active birth’ and 'baby and postnatal matters' from which hundreds of couples have found benefit, is designed to empower a woman and her partner to navigate the challenges of labour and birth along with developing an understanding of the needs of a new baby. Gill believes that educating a couple in this way ensures a positive birth experience, further enabling a positive feeding experience and a settled baby, the perfect combination to providing the foundations of a strong family relationship. BSc (hons) Midwifery, RM, University of Hertfordshire; PG Dip Health Visiting, City University; MSc Public Health. Kate is a practising health visitor within the NHS as well as continuing to practise as a midwife for Tommy’s, a charity that funds research in to stillbirth, miscarriage and premature birth. In both roles, her interests lie in perinatal mental health and bereavement support. Kate completed a MSc with the dissertation focus on antenatal mental health in pregnancy subsequent to miscarriage. Kate is passionate about supporting families from pregnancy right through the transition to parenthood and beyond. Specialist Paediatric Dietitian and Nutritionist. Lucy completed her Master of Nutrition degree from the University of Nottingham in 2010, and quickly specialised in Paediatric and Infant Nutrition. She has worked in a range of settings including; Specialist Mental Health Services, Community Clinics, Special Schools and Acute care settings. Lucy currently works as a Specialist Dietitian in a busy but highly rewarding position at Birmingham Children’s Hospital. Alongside her NHS role, Lucy works as a Freelance Paediatric Dietitian which includes a role within a specialised multidisciplinary feeding clinic. The clinic work with families to help children overcome their feeding difficulties and develop their eating and drinking skills to their full potential. Lucy is regularly involved in provision of training and lectures, to peers or other health professionals, on various aspects of paediatric nutrition and dietetics, both at local and international conferences. Lucy is also a media spokesperson for the British Dietetic Association and has been featured on national and local television, radio, newspaper articles and online blogs. Rachel has worked as a Dietitian for over 15 years, specialising in the diagnosis and management of Paediatric food allergies. She works within a Children’s Allergy service in a large London teaching hospital and runs her own private practice. She is a committee member of the Food Allergy and Intolerance Group of the British Dietetics Association and is on the Executive committee of the KCL Allergy Academy. BSc (Hons) Nursing Studies, RGN, University of the South Bank and Westminster Hospital; Higher Diploma Health Visiting, University of the South Bank, PGD Promoting the Mental Health of Young Children, St Georges Medical School. Dipti has been a Health Visitor practitioner for over twenty years, and additionally, she has held a professional executive committee role as Nurse Representative in her Primary Care Trust. She has been Chair of the local CPHVA Branch, as well as a local accredited workplace representative for CPHVA. She completed her Postgraduate Diploma in Promoting Mental Health of Young Children in 1999, and has a specific interest in the field of perinatal and infant mental health. She has developed and contributed to multi-agency training in Sheffield including a programme to support first-time parents in promoting secure infant attachments. Paediatric Dietitian and Honorary Senior Lecturer Imperial College London. Rosan completed her degrees in Dietetics in South Africa. She specialised in paediatric nutrition in the United Kingdom between 1998-2001. In 2004 she went on to finish her Masters in Paediatric Nutrition. In 2008, she completed her PhD at Imperial College London. Following her PhD she was appointment as consultant paediatric dietitian at the University Children Hospital Basel in Switzerland. From 2011-2015 she was the principal research dietitian at Great Ormond Street Hospital for Children. She is currently honorary senior lecturer at Imperial College and has her own paediatric practice. She is also the chair of the specialist food allergy group of the British Dietetic Association and author of many peer reviewed articles. Consultant Neonatologist, Sheffield Teaching Hospitals, Sheffield. Robert qualified from the London Hospital Medical College in 1979 with an intercollated first class honours in physiology. He was a lecturer in paediatric gastroenterology and neonatology at the University of Birmingham from 1986-1991. Robert has a long standing interest in neonatal nutrition and its relationship to necrotising enterocolitis. His research interests include using Doppler ultrasound to investigate intestinal blood flow and manometric studies of intestinal motility. Senior Allergy Dietitian, The David Hide Asthma and Allergy Research Centre, NIHR Post Doctoral Research Fellow, University of Portsmouth. Carina is currently doing a post-doctorate at the University of Portsmouth in the area of Food Hypersensitivity (FHS). She recently completed a PhD investigating the prevalence and incidents of FHS in childhood. Carina is a member of the advisory board of Allergy UK and deals regularly with nutritional queries from members of the public. She is also a member of the European AcademyforAllergy and Clinical Immunology, The British Society for Allergy and Clinical Immunology, American Academy of Asthma, Allergy and Immunology and The British Dietetic Association as well as the UK representative of The American Overseas Dietetic Association. Specialist Practice Teacher Health Visiting. Carolyn has worked as a practising Health Visitor in South Tyneside for 20 years; her interests include all aspects of health visiting practice. Carolyn is a member of the NICE Post-natal Care guideline group, the Community Practitioners and Health Visitors Association (CPHVA) Health Visitor Professional Forum, CPHVA National Professional Committee and is the Regional Chair of the Child Health Surveillance Group. She is also National Chair of Unite the Union Nursing Occupational Advisory Committee and a member of the National Project Board for the implementation of the WHO Growth Standards. Previously Carolyn was Chair of the CPHVA and a member of the National Parent Held working group. Samson Gemmell Professor of Child Health, University of Glasgow. Lawrence is a consultant paediatrician and has been a member of nutrition committees of the RCPCH, ESPGHAN and Panel of Child and Maternal Nutrition of COMA, and was secretary of the Paediatric Research Society. He has been a consultant to WHO and to several infant nutrition companies. He was a member of the Academic Panel of the RCPCH. In 2004 he was awarded a DSc for his contributions to research in nutrition and child health. Paediatric Dietitian & Nutritionist specialising in children’s nutrition, honorary lecturer Plymouth University. Judy is a registered Dietitian and Nutritionist specialising in children’s nutrition. She is a past Chairman of the Paediatric Group of the British Dietetic Association (BDA). Judy has worked in both teaching hospitals and NHS community trusts and has her own consultancy www.childnutrition.co.uk - advising government departments, companies, schools, nurseries, private patients and community groups. She also offers training and writes books and nutrition articles. Her current interests are in children’s public health issues.